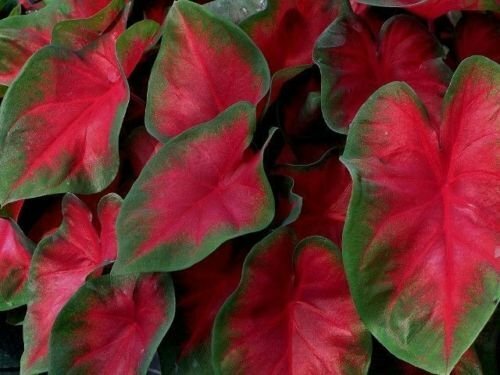 Caladium For a great splash of color in shady spots and patio pots, this striking Caladium variety has large, bright red leaves with green margins. Sure to be a conversation-starter. If you have any questions about this product by wbut2023, contact us by completing and submitting the form below. If you are looking for a specif part number, please include it with your message.